Download the stream plugin, Altacast. After download completes, locate the file, then right-click to unzip/extract. Locate the installation folder for RadioDJ (That's likely C:\Program Files (x86)\RadioDJ on Windows 7 and higher). Go inside that folder and paste those plugin files. 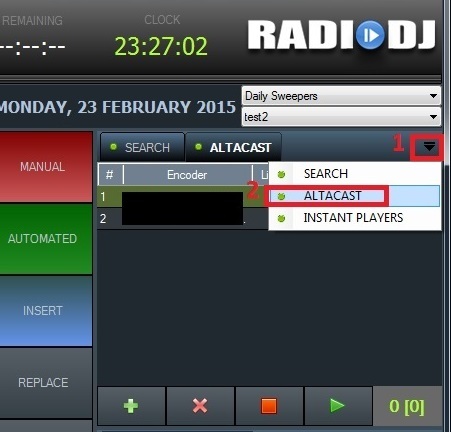 With RadioDJ running, click on Options > Plugins > AltaCast > click Settings. Change Plugin Zone to 2, click Ok.
Click on dropdown menu > AltaCast. Click on green plus and enter your Icecast/Shoutcast stream settings.